Great rack for the money! It does what it is supposed to do without any problems. 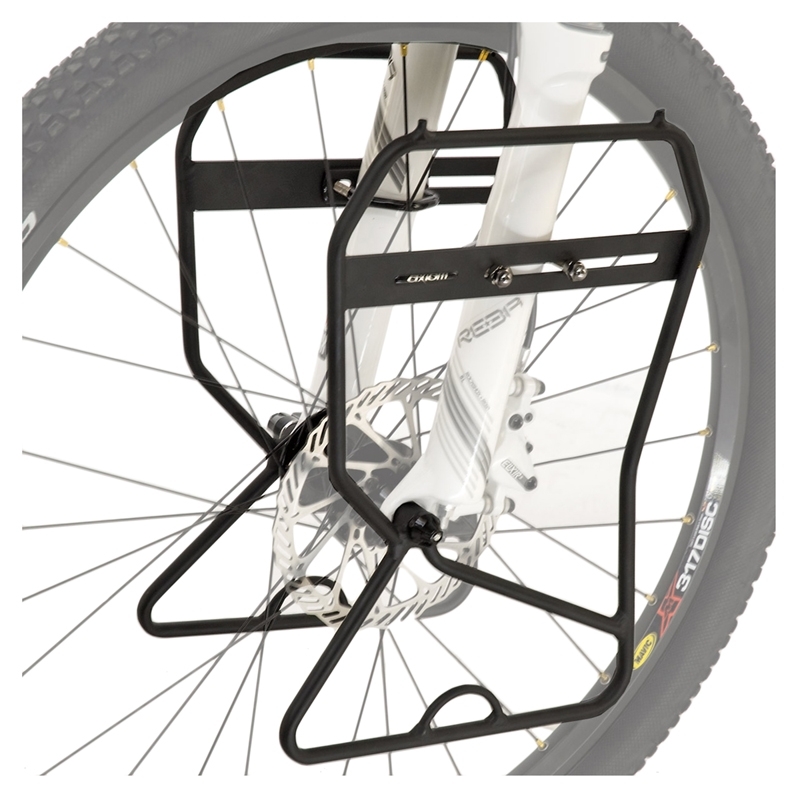 It feels strongly attached to the bike and gives you a sense that the panniers, once attached to the rack, will not go anywhere without you releasing them. Installation is very simple and straight forward. The included skewer is too short for my bicycle. Had to obtain a longer one at my LBS. The design of the bottom part makes the rack to have to be mounted unnecessarily slanted backwards more than it should. In my opinion, this is the best suspension rack for the money. Yes, there are better ones out there. But this is priced just right, and despite a couple of shortcomings, it works as it is supposed to. I rode 900 miles without any concerns with it. I strongly recommend it. Good solid front rack for Trek 520 Disc touring bike. Have completed 11 day tour around Lake Michigan. Bike handled well. No problem with the lowrider rack. The u-clamp connectors supplied do not work with the Trek 520 disc front fork. The u-clamp connectors do not fit the fork which results in a severe wobble in the front. Instead, use the front fork braze-ons with some screws & washers for connecting the lowriders. Would be nice to have some screws & washers supplied for forks that have braze-ons on the disc bicycles.